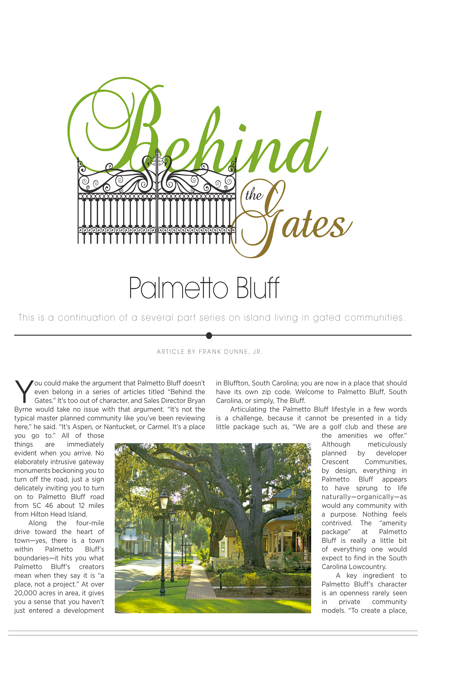 You could make the argument that Palmetto Bluff doesn’t even belong in a series of articles titled “Behind the Gates.” It’s too out of character, and Sales Director Bryan Byrne would take no issue with that argument. “It’s not the typical master planned community like you’ve been reviewing here,” he said. “It’s Aspen, or Nantucket, or Carmel. It’s a place you go to.” All of those things are immediately evident when you arrive. No elaborately intrusive gateway monuments beckoning you to turn off the road, just a sign delicately inviting you to turn on to Palmetto Bluff road from SC 46 about 12 miles from Hilton Head Island. At over 20,000 acres in area, it gives you a sense that you haven’t just entered a development in Bluffton, South Carolina; you are now in a place that should have its own zip code. Welcome to Palmetto Bluff, South Carolina, or simply, The Bluff. Articulating the Palmetto Bluff lifestyle in a few words is a challenge, because it cannot be presented in a tidy little package such as, “We are a golf club and these are the amenities we offer.” Although meticulously planned by developer Crescent Communities, by design, everything in Palmetto Bluff appears to have sprung to life naturally—organically—as would any community with a purpose. Nothing feels contrived. The “amenity package” at Palmetto Bluff is really a little bit of everything one would expect to find in the South Carolina Lowcountry. “It makes it real,” Byrne added. 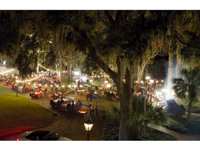 Requisite to being all things Lowcountry is a communal relationship between a community’s human elements and the natural surroundings. 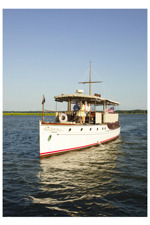 Situated at the May River’s headwaters and also touched by the Cooper and New Rivers, The Bluff is perhaps Beaufort County’s most pristine example of a place where people can live a modern day life in near complete harmony with the landscape. Residents and visitors travel The Bluff’s miles of trails—both land and water—and historic roads through maritime forests, marshlands, and river shorelines by foot, bicycle, on horseback, in canoes and kayaks, or by automobile, although the five former are preferred to experience the Lowcountry as created by nature. Preserving that experience is a high priority for Palmetto Bluff, and as evidence of their commitment, Crescent established the Palmetto Bluff Conservancy in 2003 to protect the three rivers, prompting The Island Packet to declare, “In many ways, the degradation (of the May River) was forestalled by Palmetto Bluff’s decision to develop in a way even stricter than the town allowed…” The Conservancy has since expanded its role to include wetlands protection, wildlife preservation, and property owner education. The full menu of amenities (experiences is the preferred term) is substantial and, Wilson aside, there isn’t one that takes signature precedence, as is normally the case with other private residential communities. 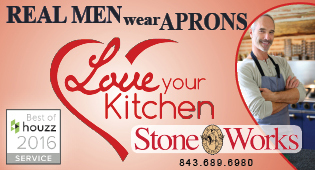 “On site now we have five restaurants; we’ve got a gourmet market and general store, a racquet club and a Jack Nicklaus signature golf course, two riverfront pools, a fitness center, a boatyard, canoe club, and our unprecedented trail systems,” Byrne said. Add to that Longfield Stables, Palmetto Bluff’s 173-acre equestrian farm, River Road Preserve, a nature preserve spanning over a mile of riverfront, and the sandbar. Nearly every “experience” is enhanced with organized events and activities, expertly overseen by a roster of “Guides to the Bluff” including golf and tennis pros, naturalists, equestrian experts and culinary professionals. Finally, since location is everything, while residents enjoy Palmetto Bluff’s pleasantly off-the-beaten-path privacy and seclusion, it is by no means remote or isolated. 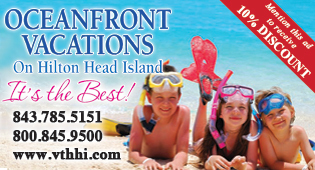 Old Town and Greater Bluffton, Hilton Head Island, Beaufort, and Savannah are all just minutes away. Byrne describes the demographic mix in Palmetto Bluff as “a very big tent. We felt that the place not the project model would appeal to families, would appeal to retirees, to working couples—and we’ve got that. 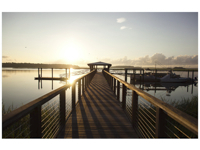 We’ve got people with school-aged kids; we’ve got retired, near-retired and everything in between.” The split between full-time and part-time residents is about 50/50, but more importantly, Palmetto Bluff has reached the “established” community stage, i.e. more new owners are building and moving in from the local area (Lowcountry and Savannah) rather than mainly from out-of-state. It’s always a healthy sign for a community when the locals start buying in, and The Bluff is there. 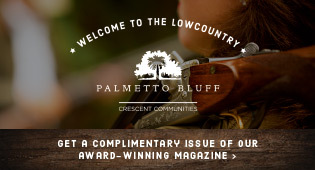 Palmetto Bluff’s real estate market is unique among Lowcountry private communities in that it is defined by two distinct land planning types: Town and Country. “We have more of a village scale, higher density and walkable. Then we go all the way up to larger compounds where it’s much more rural in character. So we do that town and country idea, which I think really plays well to the marketplace,” Byrne said. The Town concept is based in six neighborhoods in and around Wilson. They include Wilson Village and Boat House Row, The Point, West Wilson, River Road, South Wilson, and Wilson Hayfields. These neighborhoods appeal to folks who enjoy being in the heart town with its gas lit, live oak-lined streets and within walking distance of nearly everything, or more on the edge of town, close to the energy but with a bit more privacy. Outside of Wilson, the Country concept encompasses four neighborhoods featuring country estate style homes and home sites in a more rural setting. They are: Headwaters, Barge Landing, May River Forest, and Longfield Farms. The Country neighborhoods are aimed at homeowners who prefer a quieter lifestyle and more space away from the activity in town, but never too far from everything Palmetto Bluff has to offer. Variety is evident as you move from the Cottages of Wilson Village to Boat House Row where private residences rest atop specialty shops in a mixed-use construction style, then to larger square footage single family homes on the outskirts of town in South Wilson and Wilson Hayfields, and finally to country estate and farm style homes with more acreage like those you’ll find in Longfield Farms. Home prices in Palmetto Bluff begin in the mid $600,000s and range up to several million, the high end mostly in the Country land plans. Home sites are plentiful as The Bluff has a ways to go until it is built out. They start in the low $100,000s and can range into the several millions for high acreage sites. “From the very start, the goal was to define what makes a place and to create experiences and events that make this a living, breathing community,” Hampson said. Palmetto Bluff is that statement. 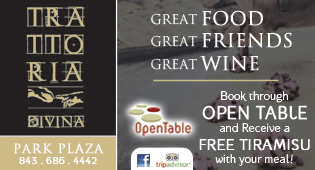 For more information, call (800) 501-7405 or visit online at PalmettoBluff.com.